Bioware has released their Star Wars: The Old Republic – Fall Roadmap for 2017! This edition of my Star Wars™: The Old Republic™ Roadmap offers a first look at the upcoming direction for the game, provides a brief review of our last few months, and offers insight into what you can expect for the remainder of this year. I look forward to hearing your feedback and reading your comments about our Roadmap. As the Lead Producer, I feel like it bears repeating our team’s priority is to continue providing great story-driven gameplay along with multiplayer Star Wars™ content. Most importantly, we want to ensure everyone, including those who prefer solo activities, has an enjoyable experience every time you play our game. To help make this happen, we believe it’s the right time for our galaxy to come together. Starting on October 10th and through a series of updates through November 28th, we’re making improvements to the way players come together in multiplayer experiences that make everything more accessible, convenient, and rewarding. We’ve outlined United Forces in the announcement blog where we describe the changes that help you find other like-minded players to join in group gameplay at almost any time, reinvigorating the fun of playing multiplayer. As part of this rollout, we have made a substantial investment in hardware, software, and network infrastructure to dramatically improve our service and make your experience awesome. I’m very excited about these improvements, so be sure to check out the blog and FAQs to find out more and get ready to come together in the United Forces Campaign. October 10, 2017 – Game Update 5.5 – United Forces Foundation – in addition to a variety of Quality of Life (QoL) improvements, this update includes the underlying foundational structural changes needed to support United Forces. October 24, 2017 – United Forces Formation – on this day, the game will be unavailable for an extended time as we’ll be setting up the formation of the campaign, replacing existing hardware and software with all the new Game Servers and supporting components. It will also include additional changes needed to support the deployment of the United Forces update. November 8, 2017 – United Forces Update is rolled out and everyone moves to five new servers with new names as follows: Two servers in North America and three servers in Europe – one each of English, French, and German. You can expect extended downtime as we make the final improvements to the Server environments. Check the blog and FAQs to discover our new Server names. 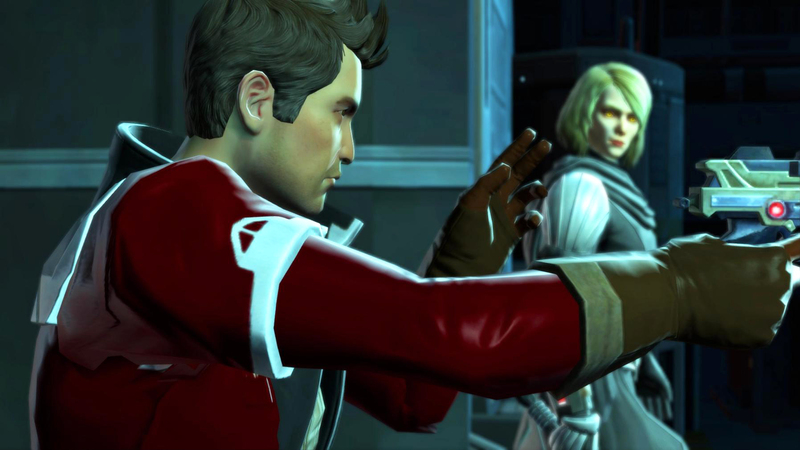 November 28, 2017 – Game Update 5.6 – A Traitor Among the Chiss becomes available and includes something new for everyone! Over the past several months, we delivered the first two Boss Encounters of a new Operation, ‘Gods from the Machine,’ brought back Companions, made huge changes to improve the balance across our Classes, deployed two new Galactic Strongholds, revived the Nar Shaddaa Nightlife event, made the Galactic Starfighter (GSF) space combat experience even more rewarding, and most recently, revealed a traitor in your Alliance through a new Flashpoint. We’ve also made quite a few Quality of Life improvements, adding new character and legacy perks, increasing the ease of gaining Influence with your Companions, and enabling the ability to summon your Companion while moving. Based on the feedback we’ve seen on our forums, fan sites and social channels, we still have lots more to deliver. On November 28th, following the United Forces update, we are going to release our biggest multiplayer update of the year. We’ve got something for everyone! If you like story-driven Star Wars-style battles, you can jump into a new Flashpoint, ‘A Traitor Among the Chiss.’ If you like blasters-blazing big boss battles, get ready to face Nahut, the 3rd Boss encounter in the ‘Gods from the Machine’ Operation. For those of you looking for dogfighting in space, we are releasing a new Galactic Starfighter map that places you around the orbit of Iokath. For those who want to face off in PvP, we’ve got a new location for you, too. Plus, the update will include a multitude of additional features. My favorites include an enhanced Group Finder that makes grouping up quick and easy, Legacy bank improvements, a means of boosting a character to Level 70, and some cool United Forces rewards. We are also hard at work on features planned for early 2018, including overhauling the Conquest system with a stronger focus on Daily Activities and giving all guilds and players access to some great rewards. As you can see, we want all our players to benefit from the variety of new gameplay that’s coming. It’s going to take us a couple months to bring it all to you, but it’s also going to be fun discussing the updates, answering your questions, addressing your concerns, and watching your reactions. We will make our 6th year very memorable! 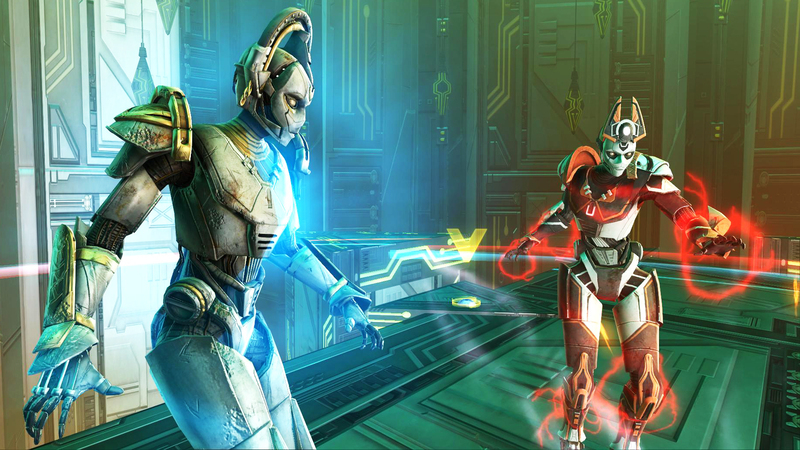 In our most recent Crisis on Umbara update (Game Update 5.4), players faced a deadly decision for your Alliance as you were forced to track down a traitor in your midst! There’s been lots of speculation about why this has happened, why anyone would betray the Alliance, and how we could allow such a horrible situation to occur. We know how impactful this has been on you, so perhaps knowing the story transitions to the Chiss on the planet Copero will give you a bit of insight as to what may happen on November 28 in A Traitor Among the Chiss (Game Update 5.6)! Although I won’t reveal where things are going after that, I can confirm that the thrilling conclusion to this chapter of the story is coming early next year… on a planet you probably wouldn’t expect to return to. We know Companions make this game feel totally different while pulling on your emotions and making conversations exciting, frustrating, and extremely entertaining. We’ve given you the ability to customize many of them including Theron, Lana, Shae, Koth, and Senya, while at the same time changed how some interact with you. We continue to discuss ways of reintroducing you to your original Companions and will be returning several of them over the coming months. As we did with Crew Skill Missions, we’ll look to improve how you gain Influence with your Companions to increase their overall effectiveness. Since its introduction back with Knight of the Eternal Throne (Game Update 5.0 – KOTET), ranking through Galactic Command and upgrading your gear has remained controversial. We’ve made substantial improvements such as adding Gear Tokens in Operations, increasing Command XP (CXP) throughout the game, improved the drop rate for higher level gear, eliminated green drops for Tier 4, added set bonus stats to Prototype Tier 4 (Blue) gear, allowed you to purchase a full Tier 1 bonus set with command tokens, and enabled the ability to directly upgrade your gear with Unassembled Components. Galactic Crate content improvements – we’re adding another slot in each crate that, no matter what Tier you’re in, grants a small chance to receive a higher tier Mod/Enhancement, Grand Chance Cube, CXP Buff, or CXP consumable. Legacy Perk – For each character that reaches Command Rank 300, we will automatically add an additional 25% bonus CXP to your entire Legacy up to a maximum of 100%. You do need to purchase the initial 25% perk, but the additional 75% will be free. And, YES, this Perk is retroactive, so you will immediately benefit once we deliver United Forces Foundation. CXP for all areas of the game is in review – as some players experienced with the Planetary Daily Areas, increased CXP makes us happier, so that’s our plan for all areas throughout the game and will coincide with A Traitor Among the Chiss update. Also with A Traitor Among the Chiss, we’re changing how Disintegrate works – instead of receiving more CXP, we will provide you with Unassembled Components for armor and weapons. In addition, you can send those components to any character in your Legacy as we’re changing these to be Legacy-bound consumables. Please note we will not introduce a new set of Tier gear for Galactic Command this year! Instead, we will be offering a special set of Augments to enhance your existing gear. These will drop in the Copero Flashpoint or can be purchased from a Copero vendor. In addition, we’ll offer an even better version of augments you can craft from materials gained through both PvP and PvE activities. We will continue to use our Public Test Server to get your feedback on each Boss encounter. We are in the process of finalizing Nahut, The Son of Shadow, who has new mechanics that will make the fight very entertaining for everyone yet very challenging for our most veteran of players. Next month, we’ll begin testing our 4th Boss encounter, Scyva, who will also deliver new mechanics to give progression groups a major challenge while getting them ready for the final Boss encounter with Izax. You can expect Izax will not go down easily and will be the most exciting encounter for ‘Gods from the Machine.’ Both Scyva and Izax will be made available in early 2018 and for those of you who enjoy the ultimate level of challenge. Our plan is to follow up with Master Modes of each boss figh, too. Beginning with United Forces Foundation, we’ll begin to include Unassembled Components as rewards on Master Mode Operation Boss encounters. This will allow players who gather enough components to directly upgrade their Tier gear pieces. Some of the most impactful and controversial changes we made recently were those related to Class Balancing. Over the past few months we also determined many areas of the game were also imbalanced. Over the coming months, we’ll continue to refine Advanced Classes and adjust various World Bosses, plus Boss encounters in Flashpoints and Operations to ensure you can play whatever character desired. Starting with United Forces Foundation, we are increasing Bolster to 242 for non-ranked Warzones and Arenas which doesn’t remove the gear chase, but gives everyone a fighting chance. It still gives those who have made the effort to get Tier 4 gear to benefit from their time investment. Since many of us like to PvP on a variety of characters, with A Traitor Among the Chiss update (Game Update 5.6), your Unassembled Components will become legacy-bound. Now you can focus your entire Legacy on gearing up one or more characters a lot faster. 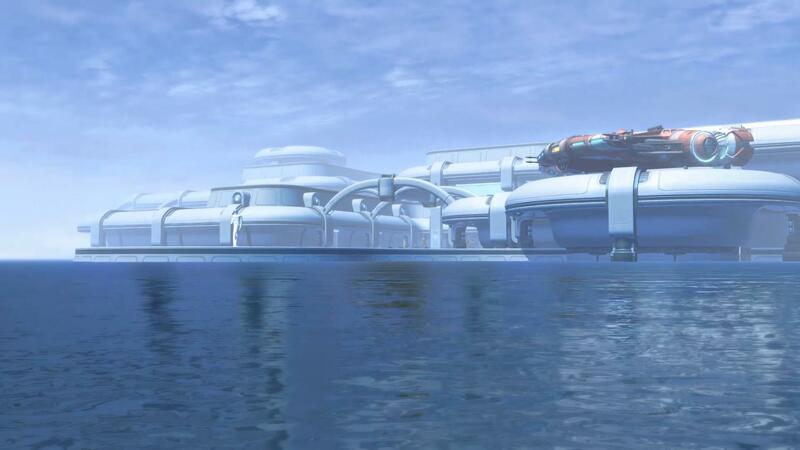 In addition, we will release a new PvP map along with a new Galactic Starfighter map located in orbit above Iokath. 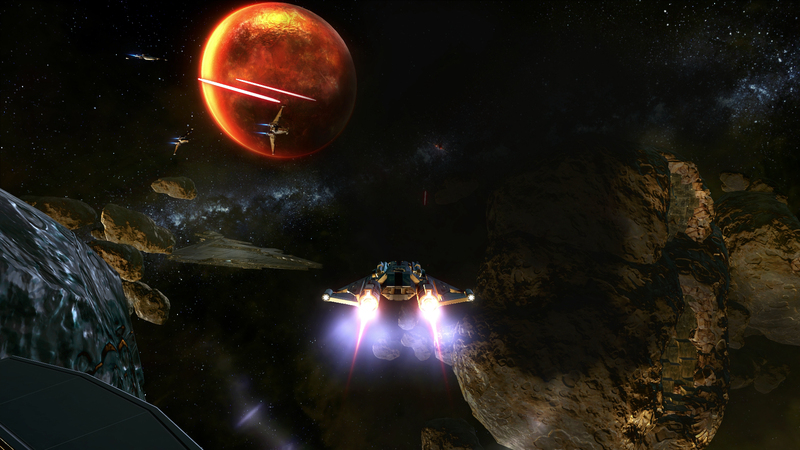 In United Forces Foundation (Game Update 5.5), we will introduce extensive ship and component balance changes to Galactic Starfighter. Additionally, we will be adding some quality of life improvements to GSF. As a reminder, Quality of Life (QoL) is a term we use to reference improvements we make to enhance your gameplay experience. QoL improvements include changes to existing game systems, improvements to the User Interface, simplifying ways to do things in-game, increasing the speed of mounts, adding Legacy Perks, and more. A cool change we are delivering with A Traitor Among the Chiss is the ability to add Credits to your Legacy Bank. You will retain the ability to have credits on your character, so this will work very similarly to how you use your Guild Bank, but it’s for all your Legacy characters. After reviewing your feedback, we decided to limit currency changes to Credits and Unassembled Components as those provide the most positive and impactful change. 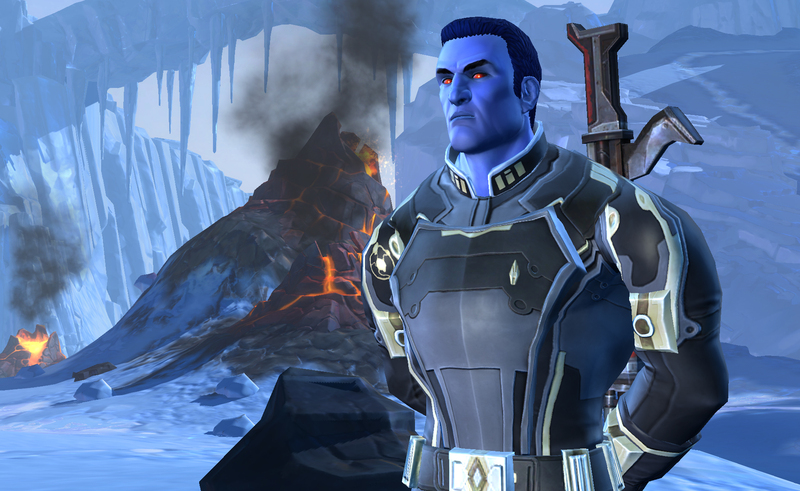 We have a special guest attending who will provide insight about Game Update 5.6 – A Traitor Among the Chiss! Members from the SWTOR Dev Team including myself will be there. We can’t wait to meet you! The Dark vs Light pop-up will now display less frequently and once a side has won, they will remain in a victory state much longer. This allows more time to work to defeat the world bosses and to reap the benefits! New Galactic Command Rank Legacy Perk that will give up to a 100% CXP bonus under Command Rank 300! New Companion Customization Vendor available in the Fleet Bazaar. The vendors will sell older Companion Customizations for “opposite-faction” Companions. Ex: A Republic player could now get an older Vette customization. As we prepare for the United Forces update, we are planning an extended downtime on this day as we need to rollout all the new hardware and vital infrastructure changes. Today, we forge our new United Forces galaxy from a broader set of server communities into a set of larger, but fewer Servers. An extended downtime is planned for this effort. Simply log in to play and qualify for the new Mini Mogul NM-1 mini-pet, inspired by one of our classic Operation bosses, Karagga the Unyielding! 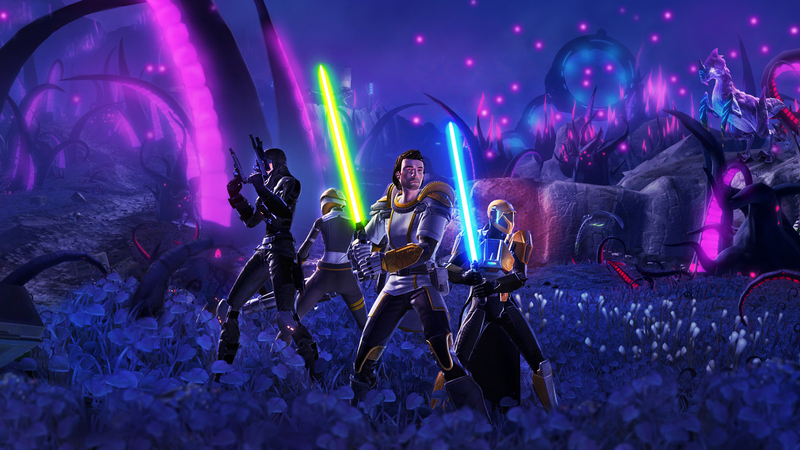 Unlock new achievements when you complete multiplayer activities using Group Finder and earn the merciless Darth Hexid Companion! Group Finder Revamp – Significant upgrades to how you queue for multiplayer and solo activities – huge bonuses for all Random play choices, but also allows for easy selection of individual activities such as Daily Areas, Flashpoints, and Operations. Star Wars: The Old Republic Six Year Anniversary Celebration! Over the past few months we have worked to increase communication and transparency. The amount of feedback and input I have received from you as part of this process is overwhelming and humbling. I feel proud to be at the helm of a game that has such dedicated fans. We make games because we love to watch the fun and competition they bring to gamers like us. Thank you for listening, reading and responding and please continue to share your feedback with us on the forums, on Reddit, on social media and on other fan sites. We value your comments and we are listening! The next Roadmap update will arrive in the early part of 2018 and will highlight the changes we plan through subsequent months. I’ll leave you with this quote as it sounds like me: “I’m not one to dismiss an idea just because it sounds a little crazy.’ —Sith Inquisitor, in a conversation with Talos Drellik.